This article is from CBS Los Angeles,CBSLA.COM: Jennifer O’Malley is the Leader of RCWP-USA, Roman Catholic Women Preists -USA. Here she praises Pope Francis whose positive,intelligent, charismatic and very spiritual impact on millions in the USA and Cuba during his visit was totally moving. 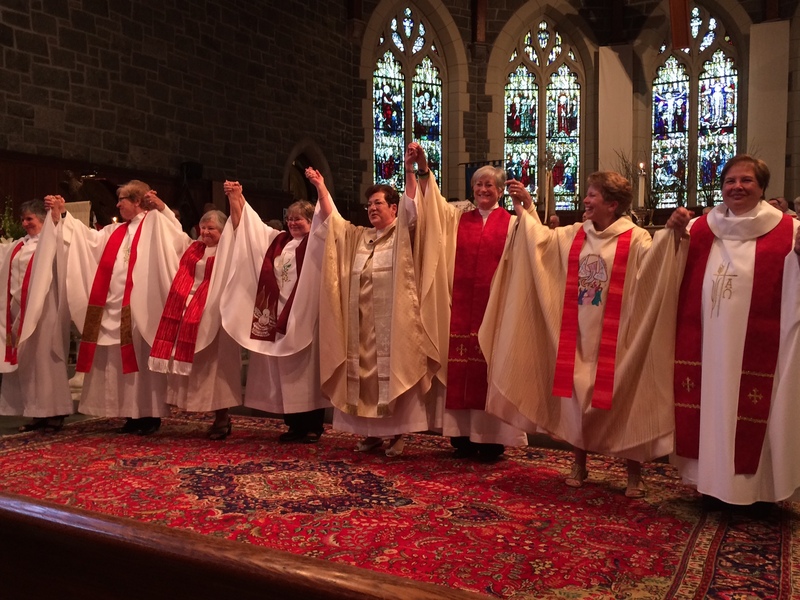 BUT she also notes that a piece is missing-the true company of women peers and their supporters and parishioners, many of whom would be the outcast and poor that he loves, who can have meaningful dialogical encounters with him and inspire change in his view of “the closed door” on the ordination of women as priests. Get home safely, beloved Pope Francis, and then may your reflections bring a crack in the closed door. Jennifer O’Malley is just one of many women who respect Pope Francis, but feel that something is missing around him. “We find his pastoral nature very refreshing,” O’Malley said. “But unfortunately he continues to exclude women from leadership roles… We continue to see him surrounded by men, by clergy, we don’t see women present,” she added. O’Malley is the leader of the “Holy Wisdom Catholic Community” Church in Long Beach,, and a movement called Roman Catholic Women Priests, or “RCWP”. With or without recognition from the Vatican, she says that the presence of “self-proclaimed” female priests is growing. While there were just seven in 2002, there are more than 150 today. “While personally, it’s a call from God to the priesthood, on a justice level, there is an oppression of women within the church,” O’Malley said. In Philadelphia on Saturday, Pope Francis said it was time the church valued the “immense contribution” of lay and religious women, suggesting the church could not afford to be stuck in old traditions. The Pope continued by arguing that reinvigorating people’s faith was one of the “greatest challenges facing the Church in this generation”. A CBS News / New York Times Poll shows more than half of Catholics say the Vatican is out of touch with everyday Catholics. Two thirds would allow priests to marry, and nearly 6 in 10 would allow women to be ordained priests.